Sing Handel in Boston, Bring Healing to Haiti! JP Concerts presents: Sing Messiah! Saturday, December 11, 8 p.m.
‘Tis the season for performances of Handel’s Messiah, both the all-pro and sing-along variety. And Boston, being the turbo-charged classical music mecca that it is, boasts many opportunities to get in on this holiday tradition. Today I would like to draw special attention to one that McDoc and I are involved in, because it will benefit a very good cause! Before I began learning about McDoc’s medical specialty, physical medicine and rehabilitation, I had very little awareness of the kinds of ongoing, long-term care needed by people with the conditions the specialty treats. Did you know that when someone undergoes an amputation (of which there were many in Haiti resulting from earthquake-related injuries), they need very specialized care in order to be fitted for a prosthesis and use it successfully? And folks with spinal cord injury need ongoing follow-up care as well. Healing Hands for Haiti’s medical volunteers not only provide direct care; they also train local caregivers to continue this crucial work. McDoc has the opportunity to go on a second mission to Haiti, in March 2011. He’ll volunteer his time (and one of his three annual vacation weeks! ), but there is also the matter of travel and living expenses, which total about $2,000 per team member. That’s where Handel comes in: proceeds from this Saturday’s sing-along Messiah will help support McDoc’s mission! So if you’re in the Boston area and you love to sing, please join us on Saturday! 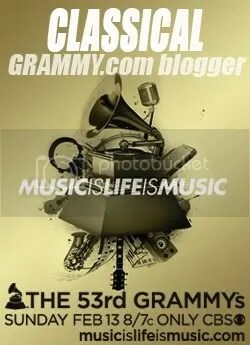 Even if you don’t sing, you’re welcome to come and listen. Accompaniment will be provided by the Young Artists Philharmonic, led by conductor Isaac Kramer, and featured soloists include Megan Bisceglia, Nathan Keoughan, Farah Darliette Lewis, Joshua Pelkey, and Yakov Zamir. If you designate your donation as in support of Dr. Brian McMichael, it will help McDoc directly. Thank you so much! It’s That Time Again! Music for Hanukkah, Plus Hello Kitty Menorah! 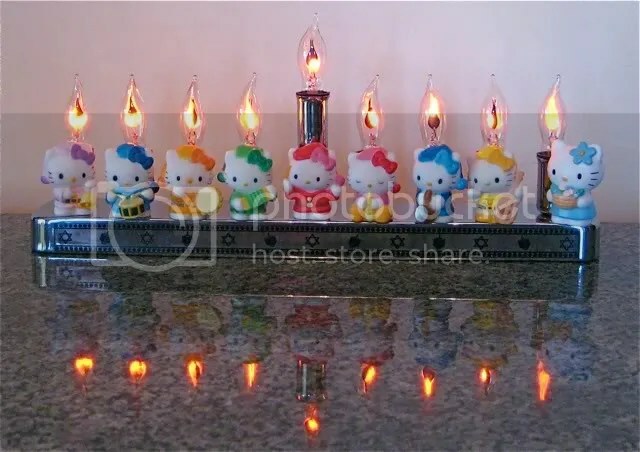 Last year, I was thrilled to find that the Hello Kitty Menorah made it on to some rather, um, selective holiday lists: 5 Geeky Menorahs, Goofy Menorahs and 27 Craziest Menorahs. Hey, we’re nothing if not superlative around here! Speaking of selective lists, I’ve presented a sampling of music for Hanukkah in past years (2007 and 2009, to be exact). Previous examples were in a classical/traditional vein, but this year’s yield is all pop and fun — though still educational; check out the historical reenactments in these videos!